Oklahoma Connection | Kennedy came to Oklahoma in 1923 as a clerk in the accounting department of Oklahoma Gas and Electric Company. In 1958 and 1959 Donald Kennedy joined a group of ten men selected by the U.S. State Department to tour and inspect electric power installations throughout Russia. He traveled to Poland and several other “iron curtain countries” for the same purpose in 1961. A native of Indiana, Donald Sipe Kennedy graduated Arizona University in 1923 before coming to work at Oklahoma Gas and Electric Company (OG&E) that same year. 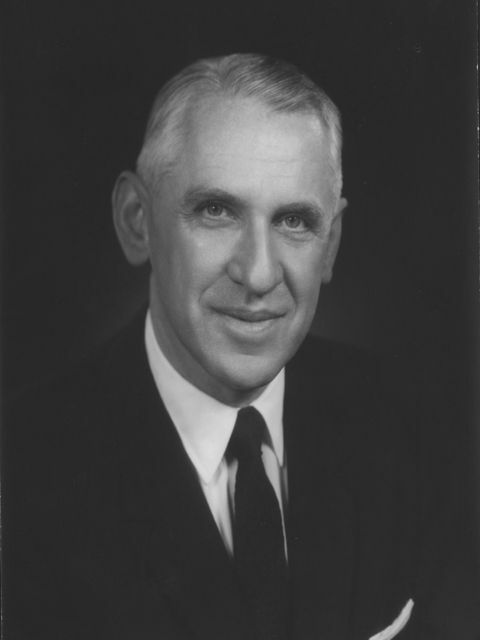 He rose from an accounting clerk to become president and chairman of the board in 1949. He retired as president in 1966 and as chief executive officer in 1976 and continued as chairman until 1982, when he was named chairman emeritus. He was a two-term president of the Edison Electric Institute, a national utility industry group, and served as the president of such organizations as the Oklahoma City Chamber of Commerce, the Oklahoma Heritage Association and the Frontiers of Science Foundation.